I just love personalized jewelry. Ever since I was a kid I always thought that it was kind of neat to have your name on something. It made it extra special. Like Mother, Like Daughter is a mother-daughter team from Tennessee who creates hand-stamped personal keepsake items. No two pieces are the same, so any piece you would purchase would be unique to you. All of their pieces are just beautiful! They also create other jewelry and knotted elastic hair ties. I received a package of the knotted elastic hair ties (picture above) for review. We are constantly going through hair bows (and losing them). So this was a great thing for us! I have to say I loved them. They held up really well. I'm super tough on hair bows because I wear them all the time. They usually end up stretched out or broken in a short amount of time. These are made of sturdy elastic...and they are so cute! My daughter loved the colors. And now YOU can win some! Like Mother, Like Daughter was so kind to offer a giveaway prize for one lucky reader! Enter below using the Rafflecopter. AND that's not all - I have a coupon code for ALL of you for 10% your purchase. Just enter coupon code: JUBILEE during checkout on etsy. 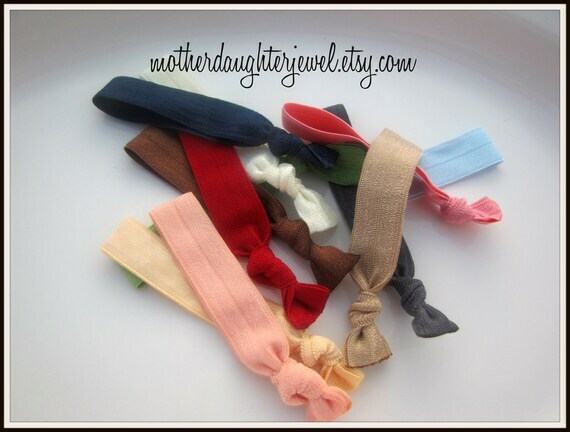 I really like (and can SO use) these knotted hair ties pictured above. I'm in the same boat as you with the hair tie thingy!!! 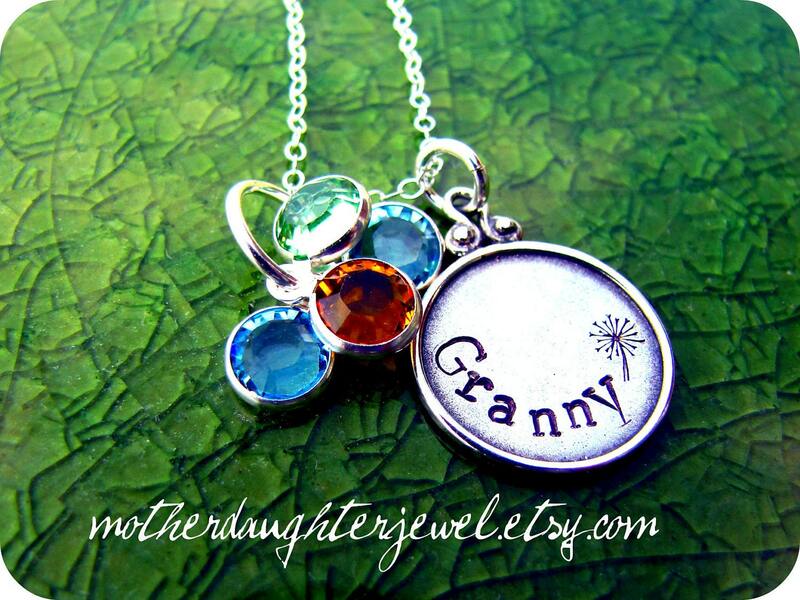 I love the family tree locket necklace. I love these hair ties. Normal ones break my hair and these are very gentle! These look great! I would love to try them. Thanks! I love her hand stamped jewerly. I have a Live, Laugh, Love necklace from her and it's beautiful! We use and lose alot of hair ties also.